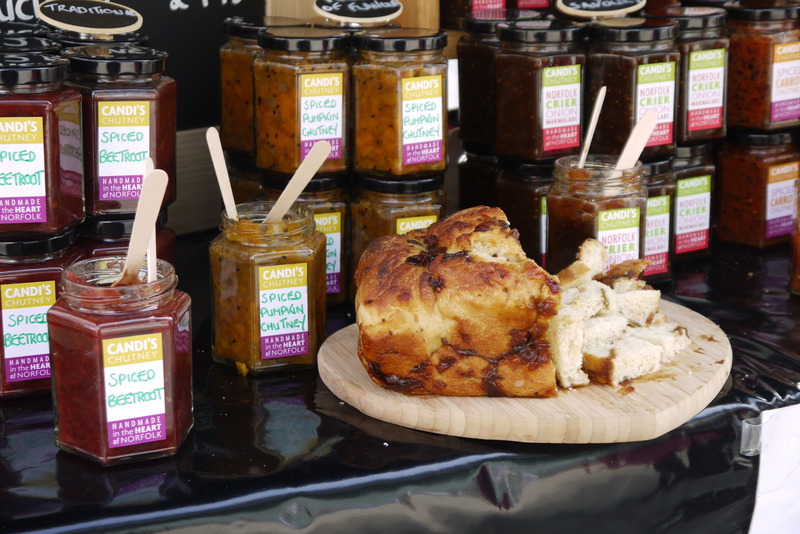 If you love good food and drink, then you really should #VisitNorwich for the monthly Norfolk Diet Farmers’ Market outside The Forum. Candi’s Chutney tasting with onion bread. 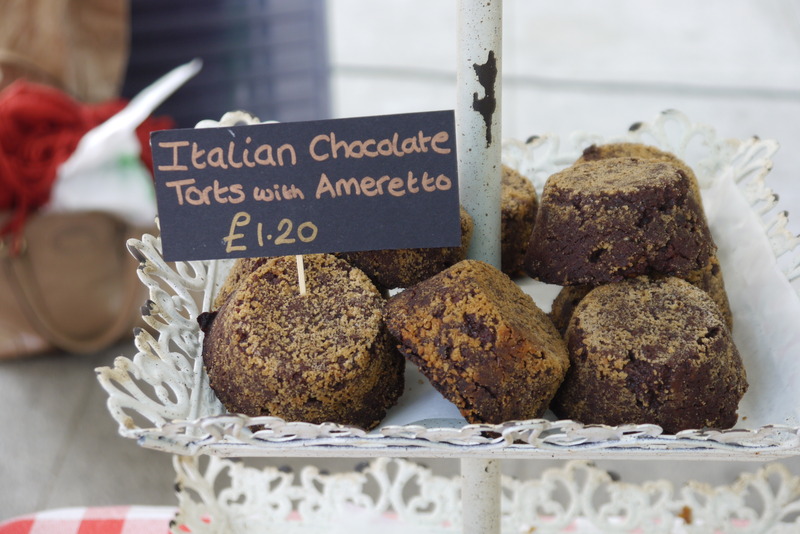 We went along on Saturday 9 March and spent over an hour chatting to the stallholders, sampling some of the delicious food on offer – buying a few provisions (and one or two treats) – and taking photos (a new hobby – so nothing professional). 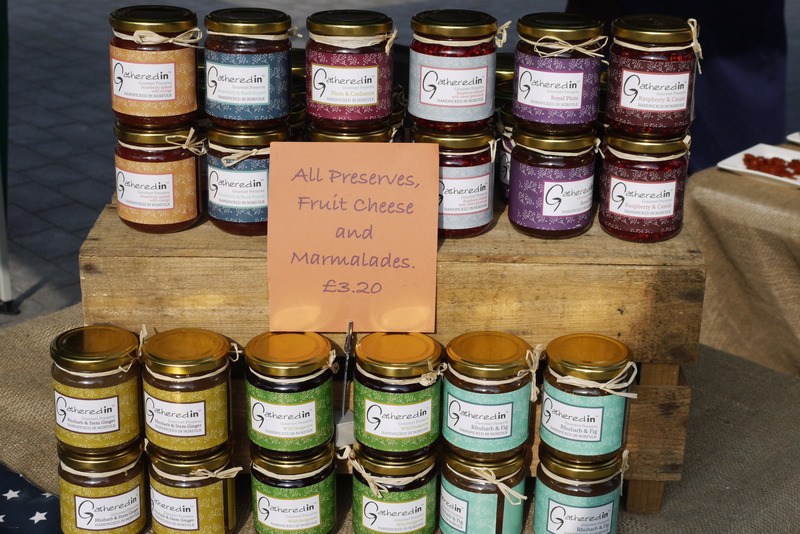 It was great fun – everyone was very friendly and helpful, keen to explain the provenance of their particular product and why they are so passionate about it. 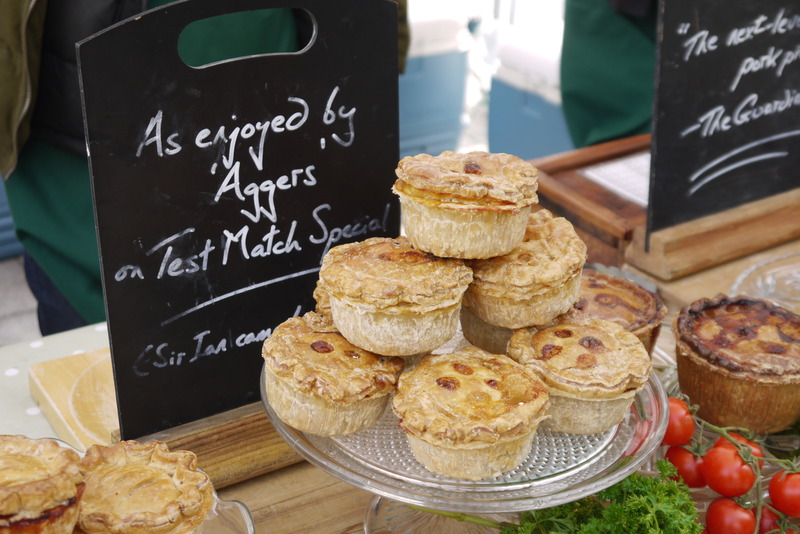 With some 12 stalls featuring local delicacies, from craft beers, freshly baked cakes and bread, to artisan cheeses, pickles, preserves, spices, rare breed meats, charcuterie and – of course – famous pork pies, you’ll be spoilt for choice for breakfast, lunch, tea and supper. Not only does the produce on offer taste delicious but it is also very good value – and much more fun than shopping at a supermarket. Getting into the heart of Norwich is easy. You can use the fast and efficient Park & Ride, which operate from several key points around the city – or you can pay for the convenience of using one of the many central Norwich car parks, most of which are within easy walking distance of the market (including one under The Forum itself). There’s always plenty to see and do when you #VisitNorwich – while The Forum makes a great place to meet friends because it is so central. 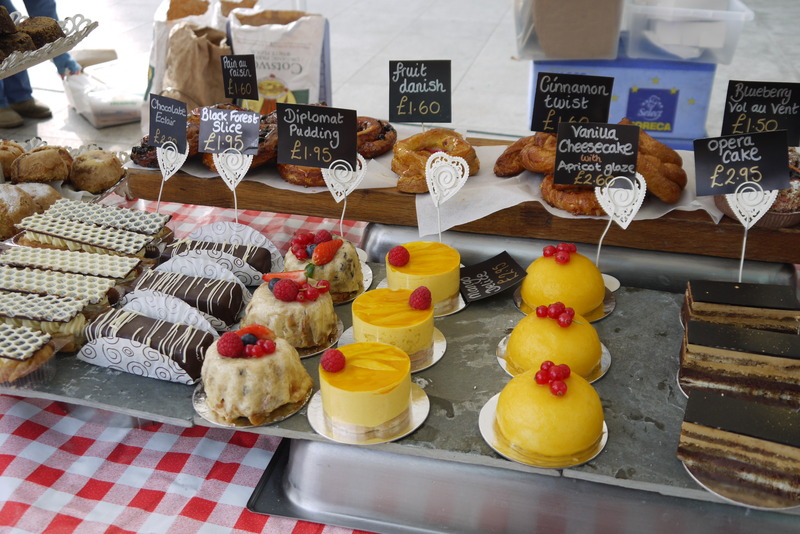 So make a day of it and take some tasty treats home with you. 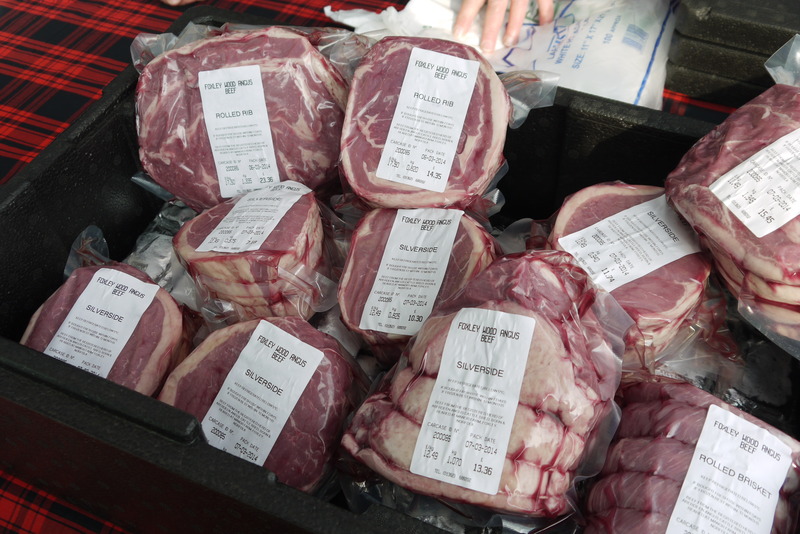 In 2014, the #NDFM is scheduled for every second Saturday in the month (so the next two are 12 April and 10 May – June has yet to be confirmed). 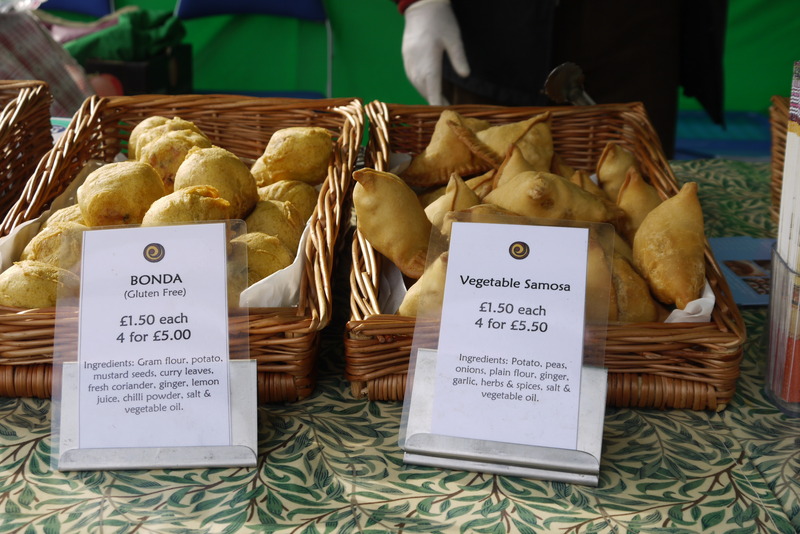 However, the organisers sometimes have to change these dates because of other things going on in the city and at The Forum – so do check the Norfolk Diet website for details – or follow them on twitter @TheNorfolkDiet for the latest dates and news of the stallholders. 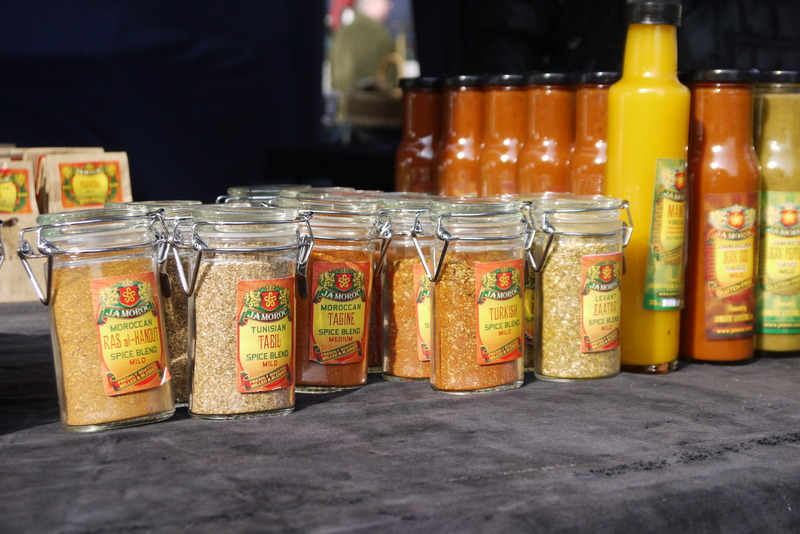 Warning: #NDFM is very popular, some of the stalls sell out fast (despite the best efforts of the producers to meet demand) – so get there early and don’t miss out. Market opens at 09:00 and closes at 15:00 latest. Angus beef from Manor Farm, Foxley Wood. Now obviously we can’t try and buy everything from anyone – but here’s what we did get: a chocolate tort from Pye (very rich – so one was enough to share) – an onion marmalade pork pie from Brays Cottage – a gloriously spicy snacking salami from Marsh Pig – and a plump rolled brisket of grass-fed Angus beef from Manor Farm (excellent value at just around £8.80/kg and perfect for slow cooking). 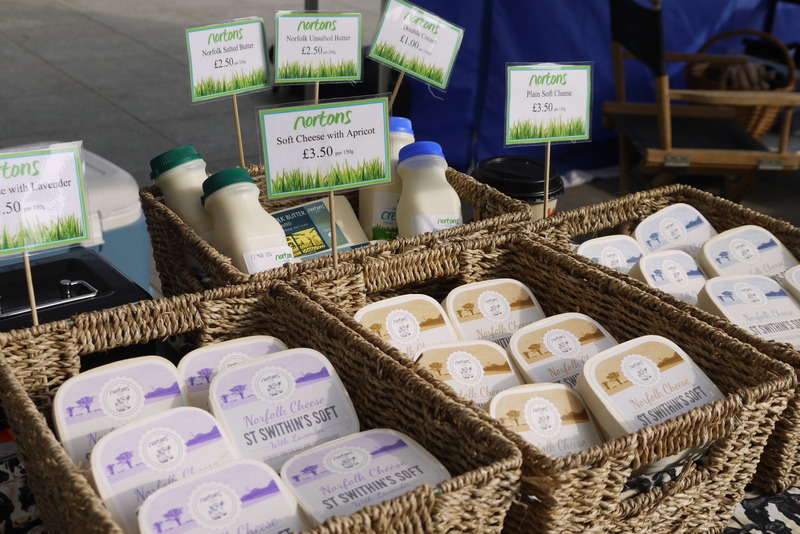 Next time we will get some Lavender flavoured cheese from Norton’s Dairy – it really is lovely – and perhaps some spices from Jamoroc (all blended in Norfolk). Spices and sauces from Jamoroc. If you have any questions or comments, please feel free to post them under this blog or tweet them to me. I will do my best to reply. 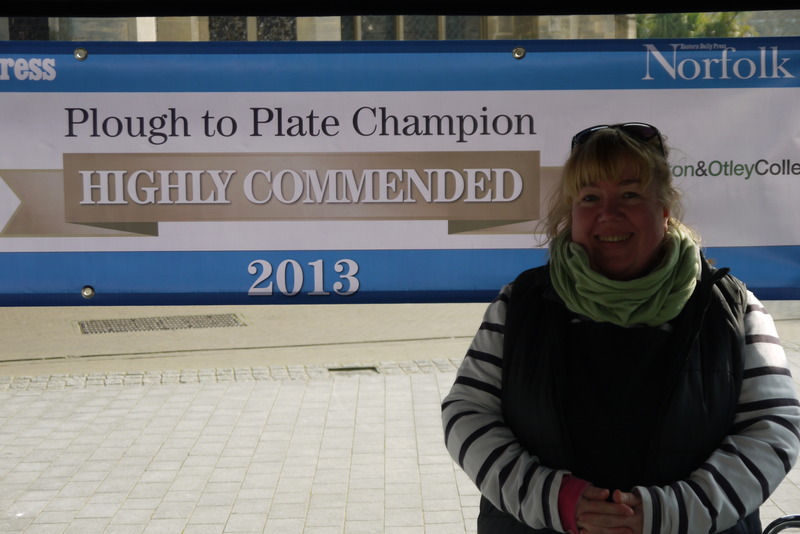 In future blogs I will talk more about the Norfolk Food and Drink Festival 2014 (see my earlier post about being an #NFDF2014 Champion) – and other food and drink events around the county (such as the monthly celebration of street food)– I hope you enjoy them. 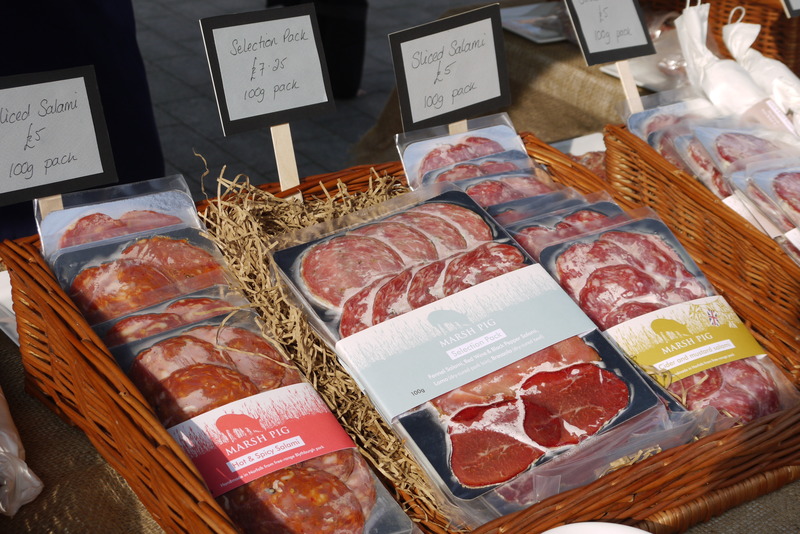 This entry was posted in #NFDF2014, #VisitNorfolk, #VisitNorwich, Cultural Events, Local Food, Norfolk and Norwich, Places of interest and tagged #NDFM, #NFDF2014, #VisitNorfolk, #VisitNorwich, Drink, Food, Norfolk Diet Farmers' Market by Huw Sayer - Business Writer. Bookmark the permalink.